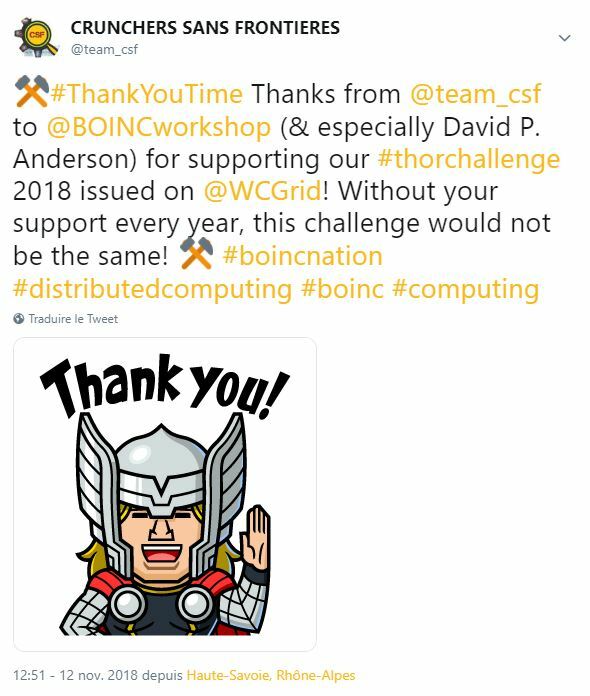 CRUNCHERS SANS FRONTIERES is sponsoring THOR Challenge 2018, a team crunching competition to benefit IBM World Community Grid. It will take place from September 24 to November 11, 2018. Message 87943 - Posted: 5 Sep 2018, 12:34:52 UTC - in response to Message 87883. Thanks, Dr Anderson. World Community Grid Team Captains can register (until Sept. 23) their team for the THOR Challenge 2018 here (source).